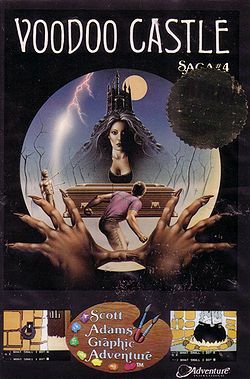 Voodoo Castle was released in 1980. It the third adventure game by Adventure International. It was written by Scott Adams and his wife Alexis Adams. The object of the game is to remove the curse that has been put on Count Cristo. It was also released with static graphics as SAGA (Scott Adams Graphic Adventure) #4.